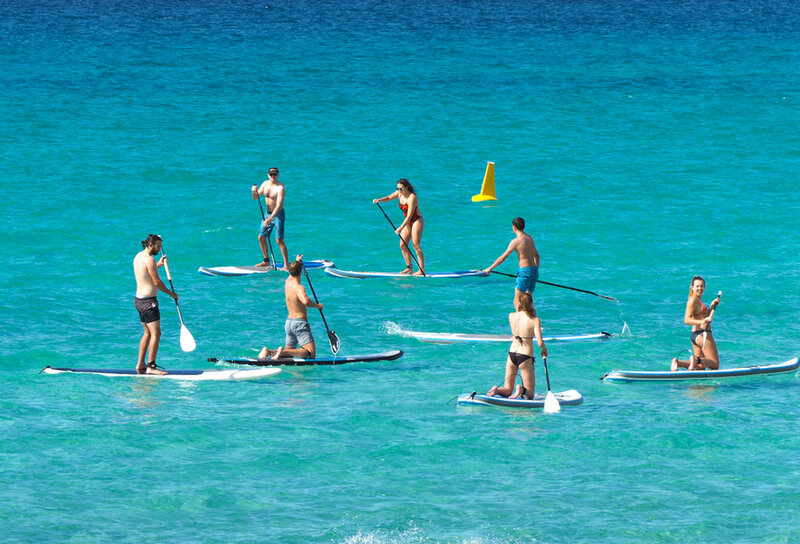 Learn to Stand Up Paddle Board at beautiful Meelup Beach - Dunsborough. Stand Up Paddle Board Lessons Meelup - Dunsborough. Stand up paddle boarding (SUP) is one the fastest growing sports, because it such a fun way to get around on the water and get a great core work out at the same time. Our ASI qualified instructors can get you up and paddling like a champ in no time. We provide large stable boards, that are perfect for learning on with legropes and optional lifejackets. We will teach you how to balance on board, paddle faster and more efficiently, turn better, and ocean safety. Best of all you will have fun. 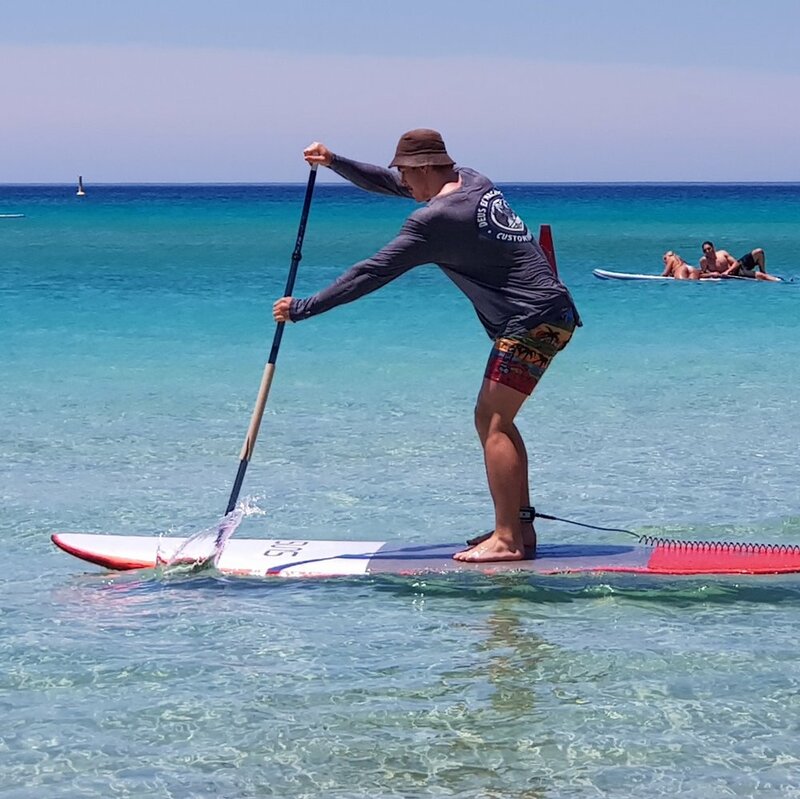 Meelup is one of the best locations in Western Australia for stand up paddle boarding, as the water is super clear, and is located on the other side of the cape with large trees and grassy headlands, it is protected from the prevailing winds. Our lessons start with some basic safety instruction on the beach, followed by learning the core skills in the water and then a cruise down the beach. We cater for groups of up to six or private one on one lessons. Jake Wain demonstrates good stand up paddle board technique at Meelup Beach. 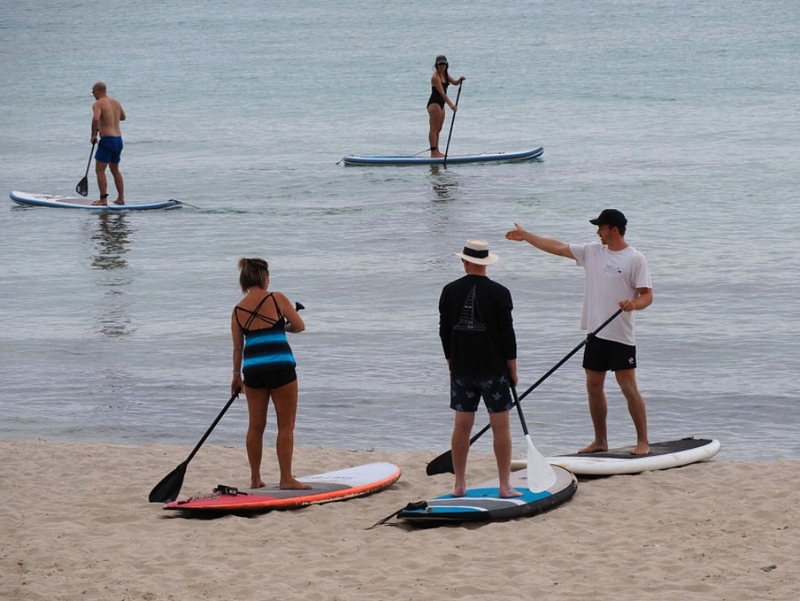 The fastest way to learn how to Stand Up Paddle Board is to book a private lesson. Get all the attention of our friendly professional Sup Coaches and you will paddling like a pro in no time. Twice the Fun. Take your best mate along and share the laughs. Lessons for two are a great way to learn how to SUP fast and have great time doing it. Paddling with your bestie in the stunning waters off Meelup is an adventure you won't forget in a hurry. SUP Group lessons. Learn off us and laugh as a group. 3-6 people. The most economical way to learn the art of Stand Up Paddle Boarding. Join a group, share in laughs and learn some skills. We cater for all levels. SUP Instructor Jake Wain gives intructions to a lovely couple learning to stand up paddle board for the first time.